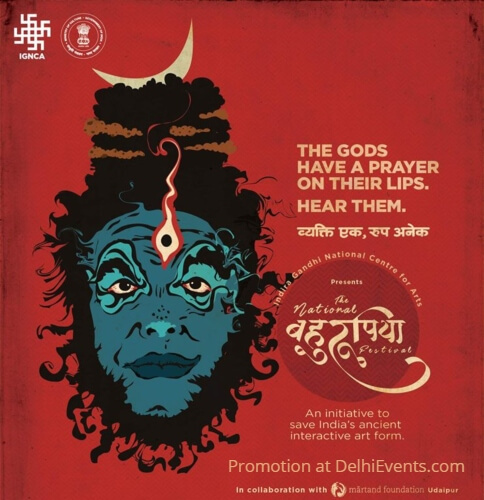 The festival attempts to showcase the ancient and rare art form of India and bring this unique art on the main stream and to create honor among the people for this old heritage art form. About seventy ‘Behrupias’ from various states of India will exhibit their talent of solo, duet and group performances. An exhibition of paintings and photographs on ‘Behrupia’ art, documentations and interactions with media, students and theatre artistes will also be integral parts of the Festival.